The problem is the same across Europe: parking in the centre of big cities puts money on the clock. Large areas of underground and surface parking are available to free up the roads in our cities – but they are hugely popular and prices vary considerably. One hour of parking – how much does it cost? 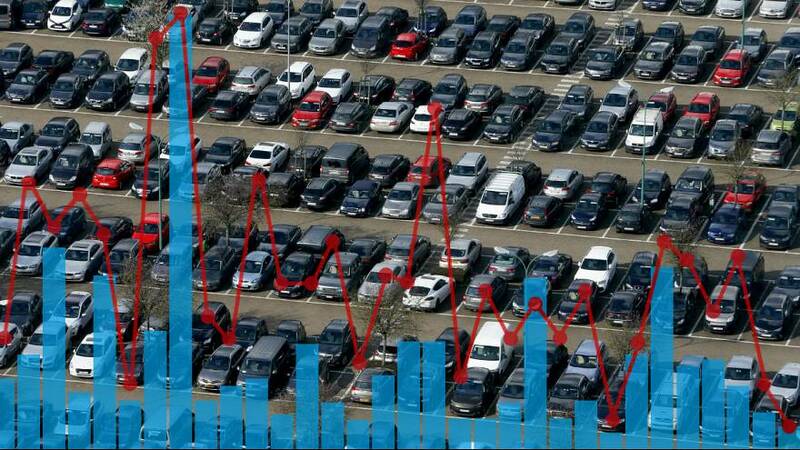 The average cost of parking in the 32 European cities Euronews looked at is 3 euros an hour. Is parking as expensive as housing? Finding somewhere to house your car can be as expensive as finding somewhere to live. In London, a parking place recently sold for 445,600 euros. That is twice the price of the country’s average house. Space is at a premium in busy city centres. Perhaps unsurprisingly, at 25,264 euros, London is the most expensive city per square metre for parking. At the other end of the scale in Bucharest, the price per square metre is only 1, 682 euros. In Spain, parking by the hour in Madrid and Barcelona is relatively expensive (4.89 and 3.70 euros respectively). However, at 4,000 euros, buying a parking place is relatively cheap. In Norway, it costs an average of 6,40 euros to park by the hour, yet a relatively low 6, 286 euros to buy a place. Is it linked to the price of petrol? A correlation can be detected in some countries. In Sofia, where at 0,921 euros per litre, lead-free petrol is the cheapest in Europe, parking is also the cheapest (0,50 euros). Compare this to Amsterdam. At 1, 546 euros per litre, lead-free petrol is at a record high. Parking for an hour costs 5 euros. Again, exceptions exist. Lead-free petrol in Helsinki and Lisbon costs around the same per litre. However, an hour of parking is twice as expensive in Finland as it is in Portugal. Prices soar in cities where the authorities are trying to limit vehicle use. Taking your car into central London is expensive for this very reason. And it works. Locals are more likely to leave their car at home and use public transport. Parking for the whole day or month is a different matter. This can cost from 15 € in Ljubljana to 40 € in Vienna. At 66 € per day, Geneva is top of the table while Sofia is bottom at 5.11 €. The majority of the other major cities stand at around 20 € per day. Paris and London are the exceptions at 36€ and 48€ respectively. Is it the same price to park across each city? London is a good example of the variation there can be in prices across a single metropolitan area. it is clear that parking in London is only for the rich. With the average salary standing at 60, 9797€ (167€ per day), the average cost for a day’s parking is 48€ – 29% of the average salary.